Belem was founded with the construction of this fort, the ruins of which now recall an imposing, stolid but beautiful stronghold. 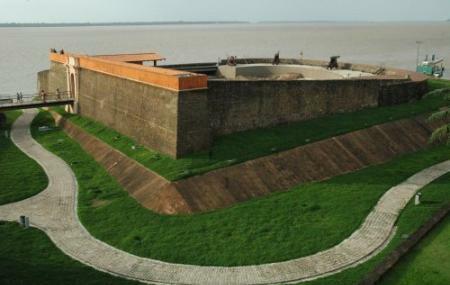 It was built to protect Portuguese colonial interests from other colonial forces that might sail up river. Used in conflict several times, the fort was rebuilt a number of times with additional artillery, which you can still see arranged around the site. Today, from atop the fort’s stone walls, you’ll find a spots from which to enjoy great views of the river and the town. There is also an excellent little museum on site dealing with the state of Para’s indigenous communities. It’s so intuitively laid out, that its worth a visit even though most of the information given is in Portuguese. The fort is part of the Happy Lusitania architectural complex. How popular is Forte Do Presepio? People normally club together Espaco Cultural Casa Das Onze Janelas and Para Religious Art Museum while planning their visit to Forte Do Presepio. Wonderful... The History right in front of us!